Authentic Pilates Stillwater offers a comfortable and non-competitive environment that nurtures the growth and success of each student. 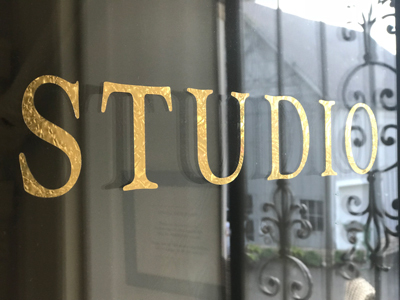 The studio encourages the achievement of individual fitness goals, which ultimately will lead to an improved quality of life and an increased sense of overall wellbeing. Every Authentic Pilates Stillwater session is taught in private or semi private for ultimate efficiency and results. There is nothing formulaic about Authentic Pilates Stillwater, nor factory-like about the studio. All sessions are tailored to your individual body using the Pilates Method of Body Conditioning principals to further enhance your fitness and weight loss goals. 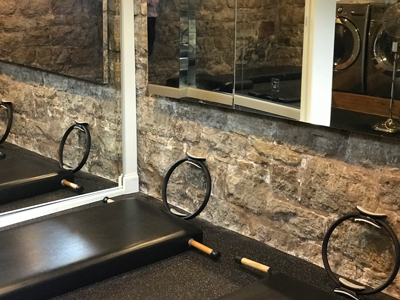 Authentic Pilates Stillwater's goal is to create a Pilates practice that focuses on personalized attention in an intimate setting. Private and semi-private sessions and mat classes are conducted Monday through Saturday beginning at 7am, by appointment only. Michelle M. Utin first came into contact with Romana Kryzanowska when she was dancing and working part time as a waitress on the upper west side of New York City. Every day when going to work Michelle would pass a beautiful woman sitting at an outside cafe table. When passing, the woman would look up and smile and say "hello dear." This went on for over a year. Then one day Michelle was asked to visit Drago's Gym on 57th street (now known as True Pilates), the Pilates studio. She had no idea where she was going or who she was about to meet. She entered the studio, and there was the beautiful woman from the cafe. She greeted Michelle once again with "hello dear," but this time she added "I have been waiting for you." And there Michelle's training began under the watchful eye of Romana Kryzanowska. Michelle was certified in 1996 under Romana, Sari Mejia-Santo, and Bob Liekens at the Pilates Studio of New York. Michelle has been teaching Pilates for 22 years - on the upper east side of New York City, at the Olympic Training Center in Lake Placid, NY, and now in her home town of Stillwater, Minnesota. Authentic Pilates Stillwater opened in January of 2007, and is dedicated to teaching the authentic Pilates Method of Body Conditioning. Private Sessions - Involves both apparatus and mat work. The instructor develops a unique system of exercises based on the client's needs and goals. Semi-Private / Duet Sessions - Two clients of similar ability work together with one instructor. Duets are structured like a private session and both clients' goals are addressed. Mat Classes - Mat work is the foundation of the Pilates Method. Mat classes are floor exercise done on a mat following the classical order. Class size is limited to five people. Classes are intentionally kept small to insure you are receiving the utmost attention for your time, effort, and money. Private sessions are required prior to enrolling in any mat classes. The Dancers and Skaters Advantage Program - Developed to enhance the strengths and improve the weaknesses of a dancer, the program helps work and balance the body to attain the dancer’s best potential and get the most out of a dancer’s body. The program consists of lessons to improve both body and performance. Learn more about the Advantage Programs HERE. Copyright 2018 Authentic Pilates Stillwater. All rights reserved.